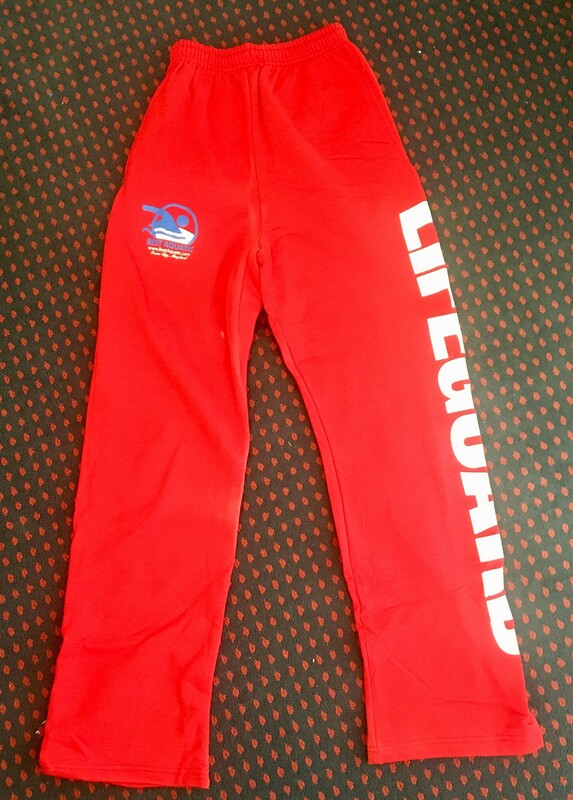 Lifeguard sweat pants along with a Best Aquatic Lifeguard Sweat Shirt will keep you warm and cozy while sitting outside on those not so nice swimming pool or beach days. Available in S,M,L,XL Please indicate size desired in the notes section of the order. Best Aquatic Lifeguard Sweat Pants are very durable and warm. Thanks for visiting our site!